Imagine a glass with colors splashed on its other side; thats what this oil painting is all about. With an array of colors, this bright hand painted art is done on thick cotton canvas. 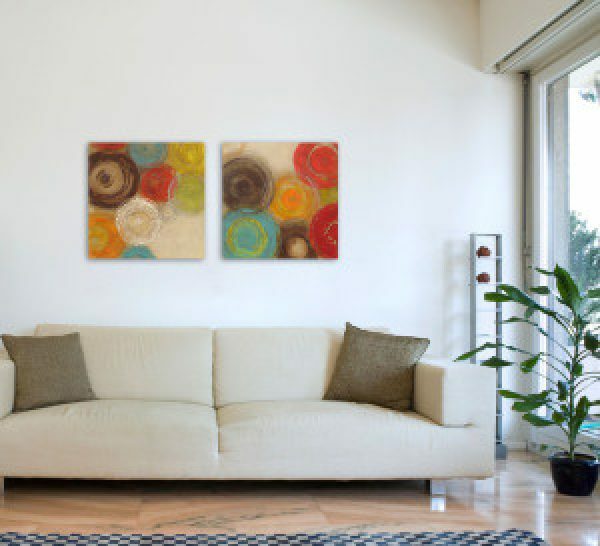 The vividness of this fine painting ensures that it will give you wall a much needed vivid life. If you have any room that’s looking beak and dull, hang this painting on its wall and immediately witness magic unfold with its bright orange, blue, red and brow with a touch of white oil paint. Hand painted and designed by DecorVibes highly creative artists, you will be instantly amazed once it arrives at your doorstep.